The joint pain and inflammation of rheumatoid arthritis can impact your daily life. If you’re living with RA, it’s time to see an expert who can help you get back to doing the things you love. Rheumatoid arthritis is a chronic illness marked by inflammation of the lining of the joints. The symptoms include pain, swelling and stiffness in the joints; ultimately, the disease can result in loss of function and disability. More than 2 million adults in the U.S. have rheumatoid arthritis. 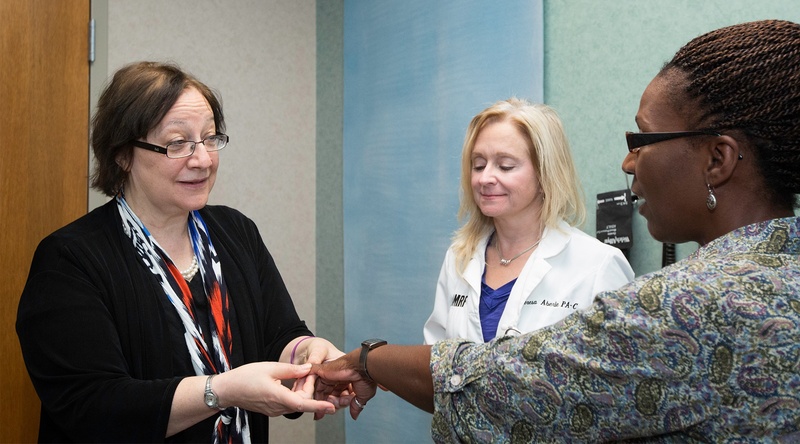 Physicians in OMRF’s Rheumatology Research Center of Excellence treat even the most challenging cases and are ready to help you stay ahead of RA. As an OMRF RA patient, you may also have the opportunity to participate in clinical trials and cutting-edge research studies. To make an appointment, contact our clinic.